Be sure to stop in and try our Special of the Month! It may not come back! One empanada stuffed with chicken, ground beef & cheese. We have a different menu everyday (Tenemos un menu diferente cada dia). Ask your waitress for the menu of the day! Mangu with fried Salami, fried cheese and eggs. 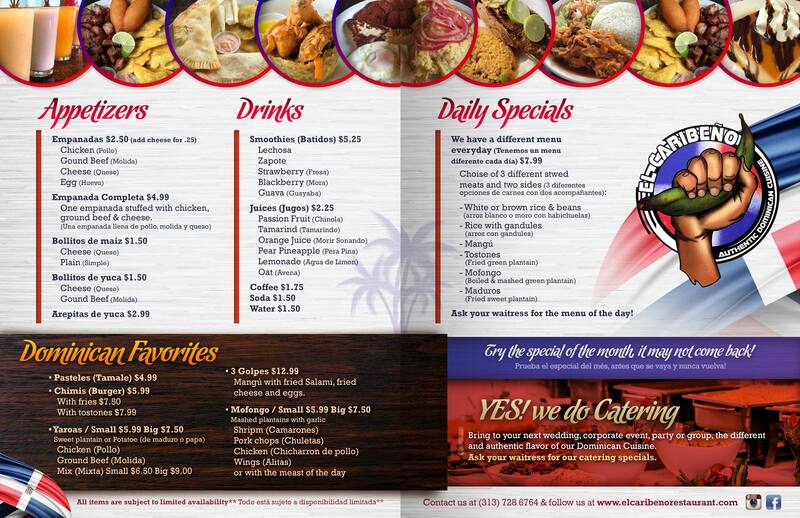 El Caribeño is the leading Dominican Restaurant in Southwest Detroit, with a rapidly growing customer base; because once you taste our decadent creations they become part of you.